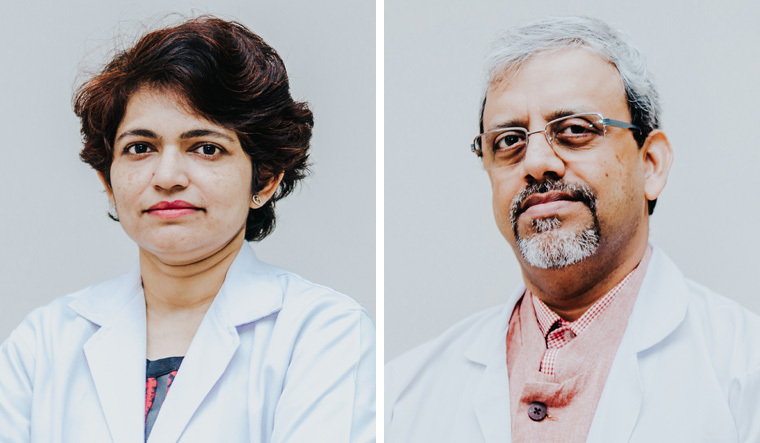 Jaiswal and Chakrabarti are consultants, BMT and haematology, Dharamshila Narayana Superspeciality Hospital, New Delhi. Cancer is dreaded. Despite advances in surgical techniques, the affected organ, be it kidney or breast, often has to be removed from the body, followed by radiation therapy and treatment with anti-cancer drugs aimed at preventing its recurrence or spread. Once the cancer has spread beyond the organ or escaped into the blood stream to invade distant organs, it is called metastasis and is deemed incurable. Compare this to the development of blood cancers, named under three broad categories—leukaemia, lymphoma and myeloma. They are blood cells originating from the bone marrow that have gone rogue and are exploding in different lymph nodes and organs through the entire length and breadth of the body. Yet, blood cancers remain the most curable cancer, both in children and adults. The reason for this is three-fold. First, the cancer cells are flowing in the blood stream and are accessible to the drugs we want to expose them to. Second, we know that they originate from the blood stem cells and they can be replaced with normal healthy blood stem cells. Finally, cancer of any sort rises from deficiency in surveillance of our immune system. By changing the soldiers of the immune system who are exhausted and cannot fight the cancer anymore with fresh ones, we can cure blood cancers that are not responsive to drugs. The latter two goals are achieved with a process called blood and marrow transplantation (BMT). BMT is not a process in isolation but a culminating treatment for blood cancers, where the initial steps are orchestrated and entwined to lead to BMT. Thus, doctors who specialise in treating blood cancers and who are competent in performing the procedure of BMT are best suited to treat blood cancers. While this segregation of treatment of blood cancers and BMT is established in the western world, the concept is nascent in India. There was a time when surgeons administered chemotherapy and later radiotherapists joined force as the drugs available to treat cancers were limited. Subsequently, surgery and radiation therapy attained greater precision and numerous drugs were added to the anti-cancer armamentarium. Newer drugs have increased the survival of patients with advanced solid organ cancers by an average of three months. On the other hand, a majority of blood cancers, irrespective of their type or nature, are potentially curable in patients below 65 years with a BMT done at the right time in the right way. Lack of awareness often leaves a patient suffering from blood cancer languishing under assaults of repeated chemotherapy and radiotherapy without being offered a curative option such as BMT. For example, 80 per cent of adults with acute myeloid leukemia require a BMT once the disease is under control (called first complete remission) and have 80 per cent chance of being cured. This reduces to less than 10 per cent once the disease returns with vengeance. Unfortunately, less than 10 per cent of the patients in the former category ever receive a BMT, depriving them of a potentially curative option. A word of caution about BMT as well: being the most intricate process of modern medicine, this requires the greatest degree of expertise.